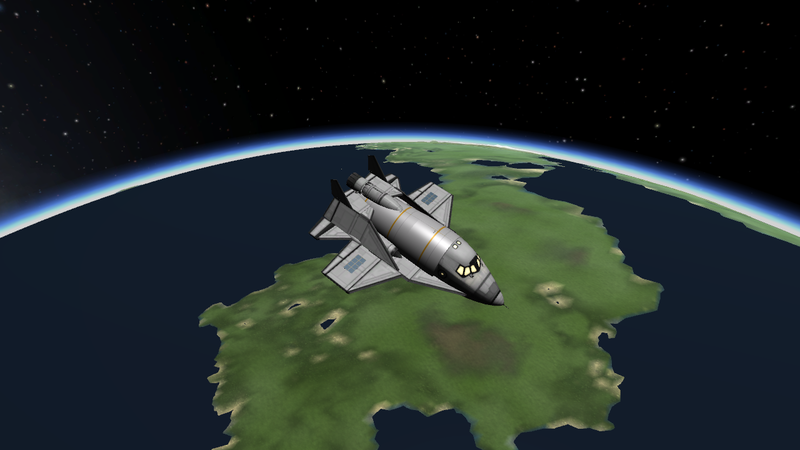 Stock VTOL SSTO spaceplane. 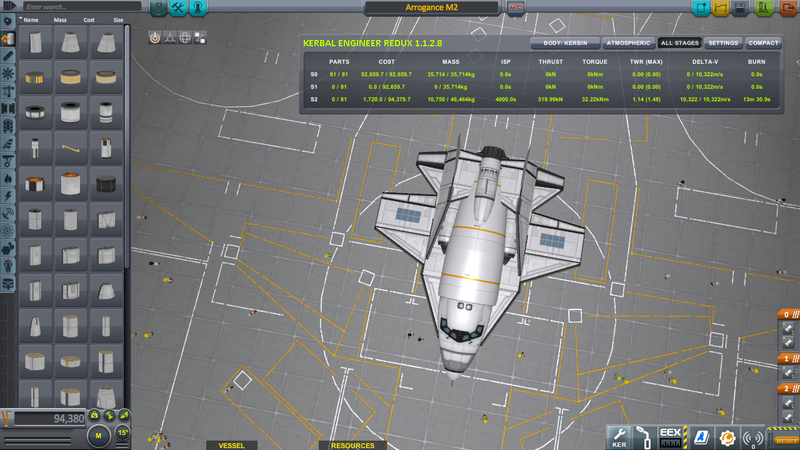 Useful stuff to deliver your kerbalnauts to low Kerbin orbit and back. Before you launch it, activate SAS. Turn on VTOL engines. Wait for takeoff. Takeoff may be a littlebit tricky, use RCS if it hard to control. When you reach altitude 200-300 meters above the surface, turn on main atmosphere engines, and gain at least 70-80 m/s horizontal speed. Turn off VTOL engines. Set angle of attack 20-25 degrees, and reach altitude 11-13 km. Set angle of attack 0-2 degree, reach 1300-1350 m/s horizontal speed. 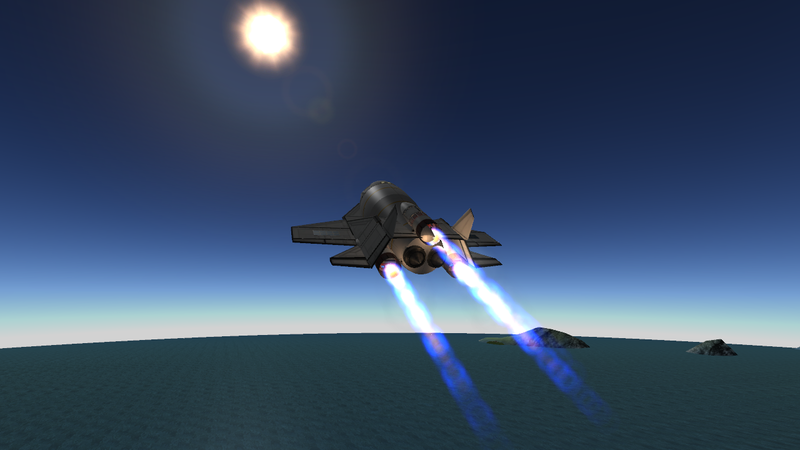 When you reach altitude of 12-14km, and speed of 1300 m/s, atmosphere engines start to lose power, turn on vacuum engines, set angle of attack 10 degrees, catch up apoapsis at least 40-45 km. 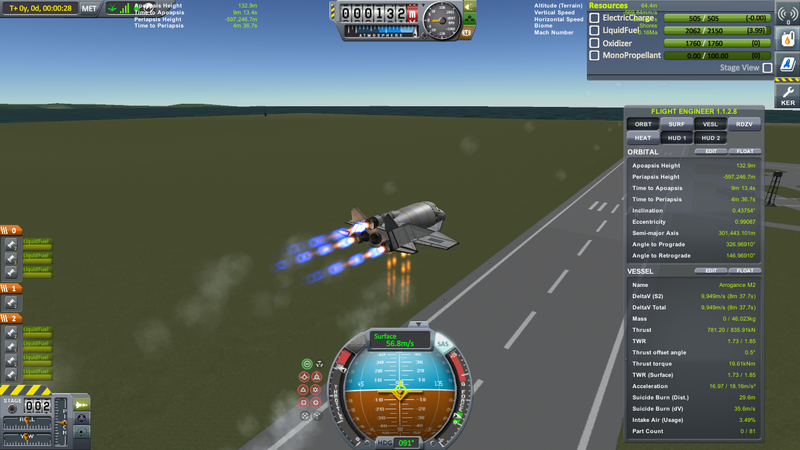 On flameout, turn off atmosphere engines, close intakes. 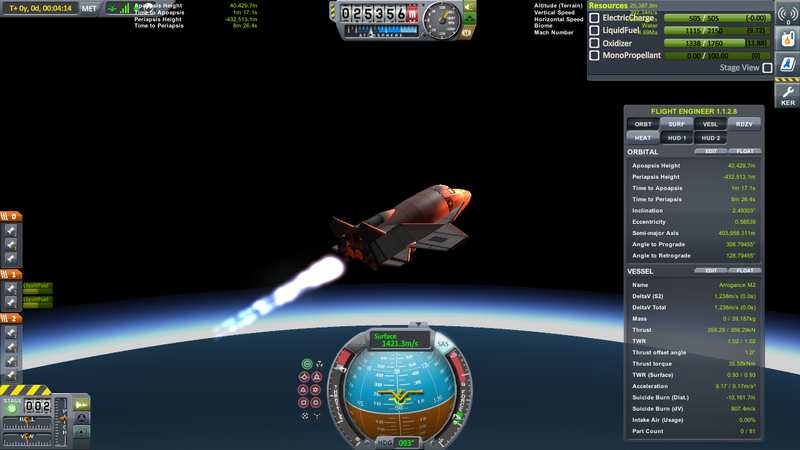 Continue to gather apoapsis height to 70-75 km and horizontal speed of 2200-2300 m/s. When you reach apoapsis - just circularize your orbit. If you did it alright - you will have reserve about 200-250 m/s dV on orbit, for orbital maneuvers. Be careful, Arrogance - a stiff little pony, every changes of angle of attack must be sensitive.